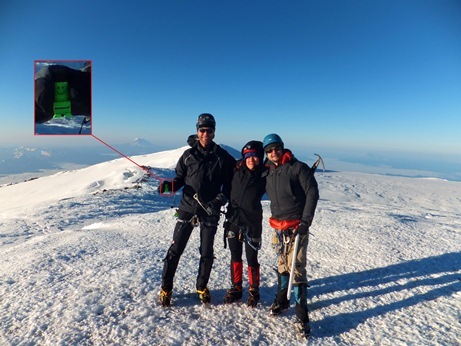 Brushy has already seen many parts of the world and earlier this week his adventures reached new heights with his summit of Mt Rainier. This massive stratovolcano is the loftiest peak in the state of Washington (4392 m, 14411 ft) and the most glaciated peak and fifth highest in the lower 48 states of the US. 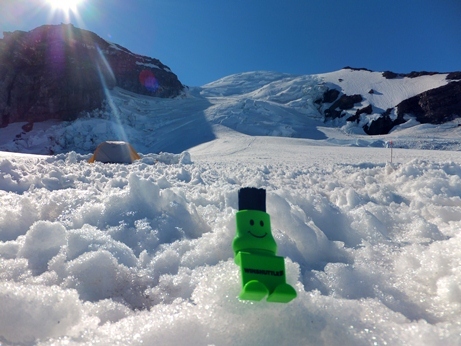 On Monday, Brushy climbed up to the Ingraham Glacier, an hour past Camp Muir, where he spent a gorgeous afternoon in the sun before hitting the sack early. At 1 am, he arose to perfect conditions and started his summit push by 2:15 am. To the backdrop of a star covered sky gradually turning into a glorious sunrise, Brushy climbed the Disappoint Cleaver and the upper Emmons Glacier to finally reach the summit at 6.45 am. Needless to say, we are all very proud of Brushy. It’s a very big mountain for such small legs! Putting the big pack down and taking a rest on the Muir Snowfield. (And having left rainy Seattle well below the cloud cover). Basking in the sun at camp on Ingraham Flats. 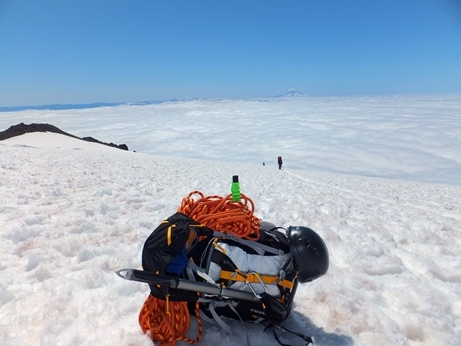 On the summit with Mt Adams in the horizon.